446 pages | 30 Color Illus. Media Today uses convergence as a lens that puts students at the center of the profound changes in the 21st century media world. Through the convergence lens they learn to think critically about the role of media today and what these changes mean for their lives presently and in the future. The book’s media systems approach helps students to look carefully at how media content is created, distributed, and exhibited in the new world that the digital revolution has created. From newspapers to video games and social networking to mobile platforms, Media Today prepares students to live in the digital world of media. "Media Today is well organized and sets a wonderful context for students to understand the industries. The structure is logical and better than any other intro text out there." “This is an extremely well organized guide to Media Studies." "Media Today is an excellent textbook providing just the right balance between challenging theory and appropriate cases and examples that students can relate to. In a media word changing at lightning speed this book manages to stay contemporary and present material in a way that captures the attention of my students". - Nader Chaaban, Adjunct Professor of Communication, George Mason University. 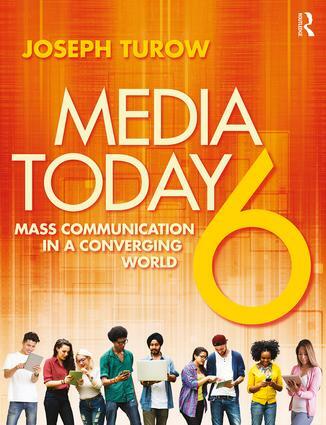 Joseph Turow is Robert Lewis Shayon Professor of Communication at the University of Pennsylvania’s Annenberg School for Communication. A former Chair of the Mass Communication Division of the International Communication Association, he is the author of more than 150 articles and 10 books on media industries.